All-stainless-steel mini dairy water heater. 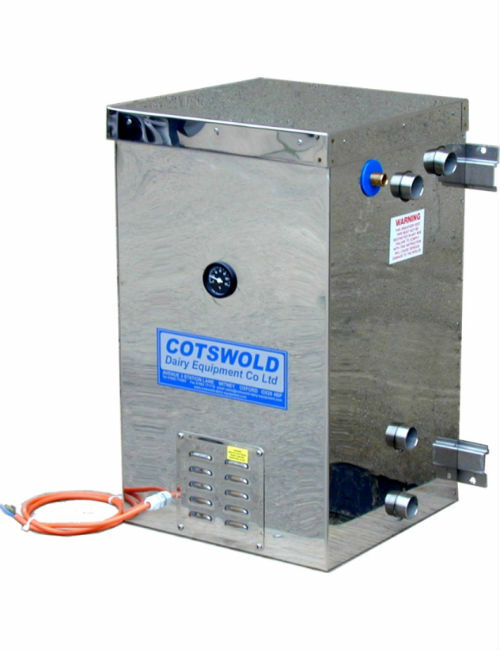 10 gallon/45 litre capacity up to 950. Floor standing/wall mounted fully insulated stainless steel cabinet. Warm/hot water available for calf feeding, calvings and general dairy use. Needs only a 13 amp electricity supply.